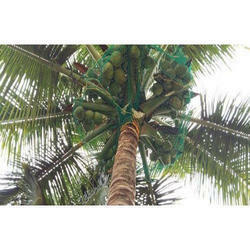 We are offering Coconut Safety Net to our clients. On top of the net, HDPE monofilament net is fixed to prevent small particles and bird droppings from falling on vehicles. 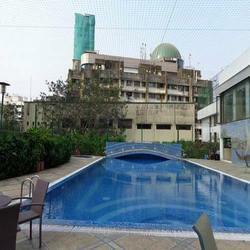 Swimming Pool Safety Net offered comprises nets made of HDPE braided so as to prevent small children from falling into pools when left unattended. With our specialisation in a field of swimming pool safety, here our expertise lies in offering a range of products that offer a secure and sage pool environment when not in use. Further, the nets are designed in a way that makes it possible for only adults to remove the net. Here, the presence of thick net meshes also makes it impossible for smallest toddlers get their heads cross through the opening. 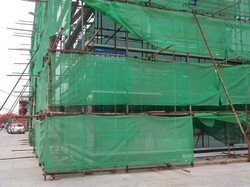 Construction Safety Net is specially made for fixing at construction sites or high storey buildings to prevent fall of construction workers and expensive equipment. This net is made of PP rope(As per IS-5175) having good breaking strength and border PP rope. The mesh size is also appropriate. To prevent fall of tools & Debris, HDPE net fixed on top. 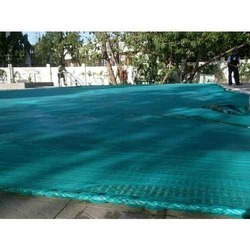 Customized Safety Nets offered can be custom made in any material as per exact specifications as provided by the customers. As per international standards, these nets are made of quality plastic and are useful for providing due protection to protect crops against any damages that can be possibly caused by insects or hail. As shade nets, these are also available in different shade factors like 35%, 50%, 75% so as to meet the different requirements of end areas like greenhouses, terrace gardens, and others. We are offering Well Covering Net to our clients. This net is made of HDPE knitted. 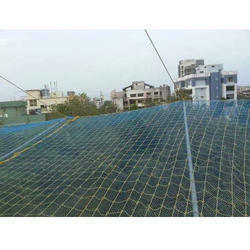 This net is fixed above the well to prevent leaves, debris etc from falling into the well.